Test-work on Vesconite polymer sliding wear plates have shown promising results on a crawler drill that is employed at a zinc project in the Northern Cape, South Africa. The wear plates were installed on the rotary head slide of a drill that carries out exploration drilling at the mine from which the goal is to exploit one of the largest zinc orebodies in the world. The rotary head moves the drill into the ground for deeper and shallower drilling. It also allows the drill to be changed. Since the rotary head moves approximately 120 times a day, wear on the slides has been considerable, and the original-equipment-manufacturer’s (OEM’s) nylon wear pads were only lasting 500 hours. As a result, the OEM crawler drill supplier involved in the zinc project sought a solution to extend the life of its wear pads and investigated other wear-resistant materials that could cope with highly-abrasive materials such as chrome and silica that come in contact with the pads. Vesconite Bearings technical representative Phillip de Villiers recommended the use of Vesconite in the application to improve the total wear life of the slides. The OEM equipment supplier reports that the Vesconite polymer wear plates have lasted more than twice as long as the OEM nylon wear pads – more than 1300 hours of operation to date. They will continue to be used and the wear life will be closely monitored in comparison with the nylon OEM parts. The wear life will be tested and proved on the 10 wear plate assemblies, which is comprised of 20 separate wear plates on the crawler drill. On a separate application on the crawler drill, Vesconite wear plates have also been employed on the boom slide. This is the rear part of the crawler drill. It is moved and adjusted to the drilling height, and provides stability to the drill. This boom moves roughly six times a day, so the wear is not nearly as considerable as the rotary head slide. However, with the previously-installed OEM nylon slides lasting 1000 hours on this application, there was still a need to improve the lifespan of these slides. The OEM equipment supplier hopes that the Vesconite will last much longer than the 1000 hours of the OEM material. With low wear on the 6 Vesconite assemblies, comprising of 12 wear plate halves, early indications are that the Vesconite will also perform well in this application. The equipment supplier imports crawler drills from Korea for resale, and also supplies parts for these and other drills that are used in mining-exploration drilling and borehole water drilling. Gallagher is a distributor of Vesconite products for all industries. If you have questions about using Vesconite in any application, contact our engineering department. Vesconite’s origins lie in the gold mining industry, a notoriously harsh working environment. The product was developed as a maintenance-free alternative to bronze bushings traditionally used in mining equipment. Unlike bronze, Vesconite eliminates three key issues: The need for regular lubrication; the effects of dirt and grit on costly components; the damage caused by water to traditional bushing materials. Vesconite offers up to 10 times the lifespan of traditional bushes in these harsh conditions, and saves hours of downtime caused by machines requiring frequent lubrication. South Africa – A earth-boring company was looking for a durable material to create stabilizers for its borer machines. The machine bores between levels in mines and is capable of boring chutes up to 120m. The drill steel is subject to high levels of grit and rock. The Vesconite stabilizers help align the drill steel, thereby avoiding whip in the drill. Despite the dirty conditions, the new stabilizers required no lubrication between recommended overhaul schedules, and general maintenance and downtime were substantially reduced. Vesconite and Vesconite Hilube are advanced engineering thermoplastics with a unique combination of properties ideally suited to bearing applications in the agriculture industry. Tried and tested in countless industrial settings over the past five decades, both locally and internationally, Vesconite thrives where traditional bronze and steel bushings often fail. In both dry, wet, dirty and unlubricated environments, Vesconite and Vesconite Hilube have proved themselves time and time again as long-lasting, low-maintenance bearing alternatives. Whether you’re a farmer, repairer or manufacturer of harvesters, planters, sprayers, harrows, etc, Vesconite and Vesconite Hilube should be considered as bushing and wear material substitutes. I can’t understand why more farmers don’t use Vesconite. This comment was made by an old farmer who had driven 185 miles (300km) to buy Vesconite bushings from our Johannesburg sales office. We can’t help but agree with this sentiment – that any farmer who hasn’t tried Vesconite for bushes, and other sliding wearing parts is unwittingly creating unnecessary work and expense for themself. The dirt, abrasion and loads associated with earthmoving equipment create notoriously harsh operating conditions for moving parts. 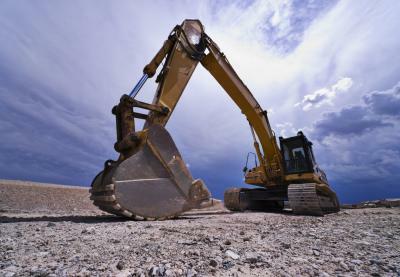 Despite these conditions – more often than not combining dirt and water – Vesconite performs well, and is the ideal material for bushings operating under slow speeds or oscillating movements under high load. With its lubrication-free qualities, Vesconite can save machine operators considerable lubrication downtime, not to mention reduced wear on costly counter moving parts. United Kingdom – An original equipment dump truck manufacturer first tested the company’s Vesconite Hilube material in its articulation bushes in 2014, and established that they performed well in harsh operating conditions including large-scale construction projects, quarries and mine sites. The 355.95mm-outside-diameter Vesconite Hilube bushings were found to be cost-effective with prolonged durability in the long-run. The dump-truck manufacturer continues to order Vesconite bearings for its 38 ton dump trucks, which have a heaped capacity of 23.3m3 and an engine power of 331kW. Vesconite has over several decades been successfully used in a number of railway applications. The material’s self-lubricating properties make it well suited to railway components that are prone to metal on metal wear and require regular greasing. Not only will a switch to Vesconite bushings avoid long periods of downtime, the noise and squeal issues commonly associated with rolling stock, is significantly reduced. With a resultant reduction in rolling resistance, considerable power savings have been noted with the use of Vesconite components. Australia – An Australian tram operator continues to order approximately 100 Vesconite Hilube motor axle bushings a year, following its successful introduction to the product in 2006. The motor axle bushings, which require no lubrication and are wear resistant, have completely replaced the standard metal main drive H-class-tram bushings, which had been in use prior to the introduction of the polymer product. Transportation / Automotive bushings require regular maintenance and greasing, and are prone to wear especially in wet or dirty conditions. Self-lubricating Vesconite and Vesconite Hilube eliminate the need for continual greasing and at the same time increases bushing life. Vesconite and Vesconite Hilube are tough and durable and perform well under the mechanical stress that occurs on vehicle suspension systems. South Africa – Vesconite flanged pivot bushings have been successfully installed and used on container trailers at the national rail utility. The Vesconite bushes, with a flange of 205 mm diameter and a bore of 165 mm, were fitted to the walking beam center pivot bearing that equalizes component parts of the rear axle bogies. This heavy duty application required a material which had high load carrying capacity, low friction, high wear resistance and good dimensional stability. Vesconite, with all these characteristics, was used on the trailers that are used to transport 12-m-long general purpose containers. USA – An aeration windmill manufacturer installed Vesconite Hilube bushings on its windmills, leading to smoother and more efficient operation. The bushings are an essential component in aeration windmills, which aerate ponds in private and public spaces, since fan rotation is key to ensuring that the diaphragm moves up; compressed air is taken in; and the compressor builds up pressure, which is released into the air line leading to the water. Because of this, the windmills are more efficient at reducing algae and foul smells, controlling mosquitos and creating a healthier environment for fish. Vesconite Hilube bushings reduce energy costs in renewable energy applications. Turbines associated with these applications need to move rapidly and easily to produce efficient power, meaning wind, wave, tidal and current-driven turbines require a low coefficient of friction. Reduced energy losses as a result of the lower friction present in Vesconite Hilube bushings, allow turbines to rotate easily, producing electricity faster and at a reduced cost. Vesconite, and Vesconite Hilube in particular, are ideal for the submerged and corrosive conditions of the marine industry. Suited to both dry and underwater applications, Vesconite’s internal lubricants allow for prolonged life where the setting is characterized by irregular greasing schedules, or no greasing at all. Unlike most bearing materials, Vesconite offers long wear life and a high load-bearing capacity with no distortion or delamination, despite the wet and abrasive working environment. Vesconite is easily removed and refitted, saving in costly downtime. Texas, USA – A thermal power station required a high-wearing, low maintenance bearing alternative for a condensate pump assembly. The line shaft and pump bowl bearings used in this vertical spindle pump operate in pure water conditions at a temperature ranging between 30˚C and 60˚C (86°F to 140°F). Removal and maintenance cost on the pump are high. Vesconite Hilube bearings were manufactured and fitted. Resultant performance has been impressive – the replacement bearings have run without fault for four years, on a pump assembly that has a seven yearly maintenance rebuild schedule. Texas, USA – A water utility in Texas had over the years experimented with different grades of nylon bearings in its vertical spindle pumps, but with little success. The pumps operated in the abrasive conditions found in pit-wells. The combination of debris and sand would eventually lead to excessive wear of the original bushings and eventual seizure. The original parts were subsequently replaced with Vesconite Hilube, which requires no lubrication, does not swell and can operate in dirty conditions as characterized by the above. The re-fitted pumps have since been running without incident for over a year now. Why Use Vesconite in Pumps?